Kapiti Food Fair is owned & organised in partnership by Helene Judge & Jeanine van Kradenburg. Vendors can be individuals, community groups or commercial businesses. The cut-off date to register a site is at 5pm on Thursday 31 October 2019. Sites are single 3m x 3m and double 6m x 3m and cost $99 & $169 plus GST respectively. All sites will be located outdoors at the Mazengarb Reserve, click here for map. Ready to eat Vendors must keep their portions small and price within range of $2 to $12 maximum. Each site is designed for Vendors to set-up their own gazebo and provide their own tables, chairs, displays etc. As a general rule there will be no electricity available for any Vendor. If electricity is critical the Vendor should contact the Event Organiser to discuss their requirements. There will be an additional charge of $15 per item powered – 10 AMPs is available or a few 15 AMP plugs. Vendors plugging to power need to bring their own 20-30m external power cord and multi-box. It is the responsibility of each Vendor to provide the necessary equipment for their site, and to decorate their site to attract visitors. Please come prepared with heavy weights and/or pegs for each corner of your gazebo in the event of high winds and/or rain. Sites must be set-up between 6.30am to 9.30am and removed between 4pm to 6pm on the day of the Fair. Contact the Event Organiser if you need to set-up earlier as this can be arranged. Included in each site fee is removal of one standard bag of general waste and another for recycling (paper, plastic, tin only – glass must be removed by each vendor and recycled at own site). If a Vendor generates more rubbish, it is the responsibility of each Vendor to remove additional rubbish from their site at the end of the Fair. Vendors failing to do so may be charged a fee to assist with additional rubbish removal costs. There will be wheelie bins for public rubbish and Waste Management partner with the Fair to handle our response to waste. All Vendors are responsible for all cash handled at their site during the event. The Event Organiser will coordinate a cash-out ATM for visitors during the Fair run by Kapiti Rotary. 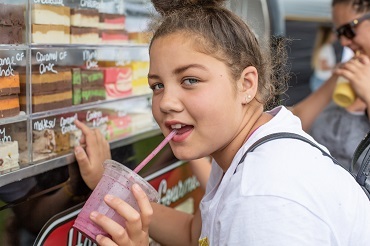 Vendors are encouraged to have mobile Eftpos and are asked to come prepared with a cash float as change is not available at the cash-out ATM operated by Kapiti Rotary. 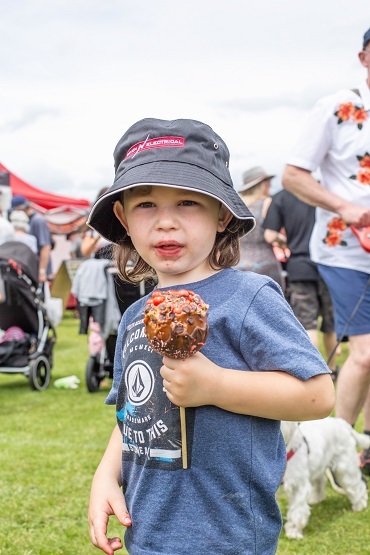 Kapiti Coast District Council (KCDC) requires all temporary food stall operators in fundraising and special events to obtain a Food Stall Health Certificate. Please apply to KCDC using their Food Stallholder Application which can be downloaded from their website, click here. You can also view their Foodstalls at Events flyer that provides guidance on preparing or cooking foods at events. If you require a Liquor Licence then it is the responsibility of the Vendor to apply to KCDC to obtain the necessary licence to attend the Fair. All applications must be submitted at least 20 working days before the Fair. To download the special licence form 6 application, go to their website, click here. All Vendors selling food at the Fair must take all necessary precautions to keep food safe, especially to reduce food contamination and help prevent food poisoning. This involves wearing hats, gloves, washing hands, storing food at right temperature, covering food once cooked etc. All food sites at the Fair may be subject to inspection by KCDC Environmental Health staff. The Event Organiser will liaise with KCDC to confirm Vendors as they register. Vendors will take all reasonable steps to provide a safe environment and to ensure their own and safety of others’. The Event Organiser will not be responsible for any injury incurred to Vendors or any other person as a consequence of Vendor activities. All hazards identified by any Vendor at the Fair must be reported to the Event Organiser so that appropriate and prompt action can be taken. Any acts or omissions by the Vendor, which endanger the health and safety of any person/s, may result in removal from the Fair. Local Police & the New Zealand Fire Service will be advised of the Fair and there will be on-site paramedics in the event of a medical emergency. There is no refund to any Vendor withdrawing from the Fair or any extraordinary weather event making the Fair impossible to run. Visitors to the Fair will pay an entry fee of $10/adult (or $12 with shopping bag) with kids <18 being free and gold coin parking. The Fair donates to the Kapiti Rotary Charitable Trust and 49 Squadron Air Cadets for their services to the Fair. Original generation time 0.6060 seconds. Original generation time 1.2517 seconds. Cache Loaded in: 0.0005 seconds.